We can design, build and deliver buildings to suit specific occupiers requirements ranging from 20,000 sq.ft. to 150,000 sq.ft. 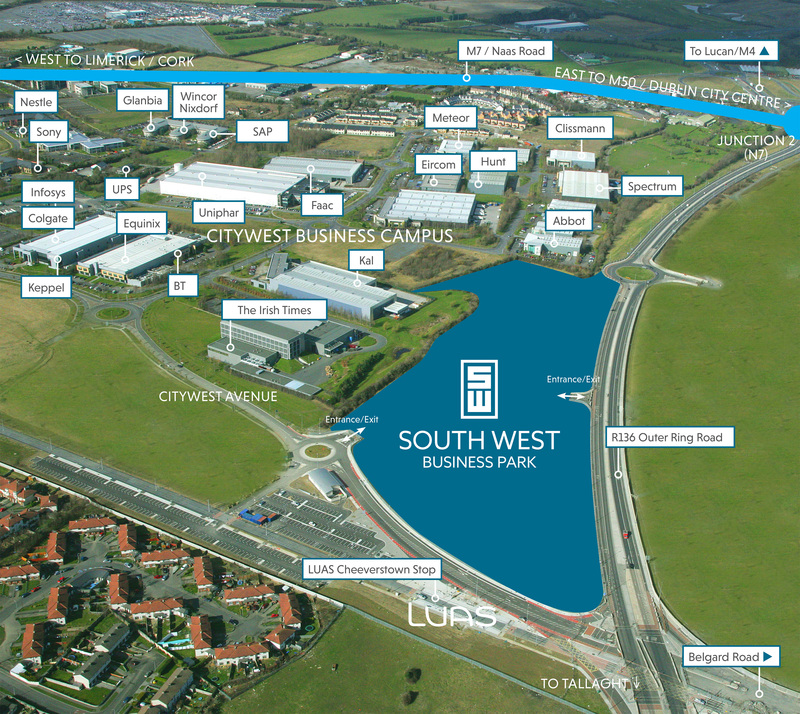 Location: Southwest Dublin, 800 metres from Junction 2 (Kingswood) on the M7 Motorway. Access / Egress: The R136 Outer Ring Road via Junction 2 (Kingswood) on the M7 Motorway. Public Transport: Situated immediately adjacent to the Cheeverstown Luas Stop on the Luas Red Line. In addition there are multiple bus routes providing access to Tallaght and Dublin city centre. Availability: Sites are available to deliver new bespoke design and build units ranging in size from 20,000 sq.ft. to 150,000 sq.ft.